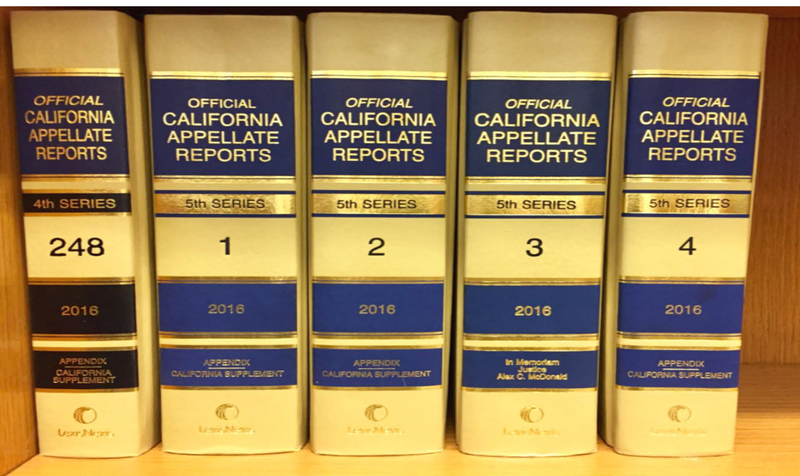 Southern California Appellate News: Have you ever seen Cal.App.5th? Have you ever seen Cal.App.5th? 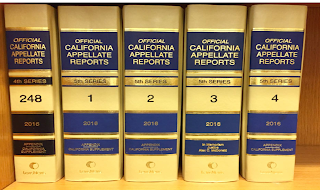 Avid readers will no doubt recall the excitement when Cal.App.5th and Cal.5th were announced. SCAN even pondered what color the series band would be on the hardbound volumes (here). (And yes, we posted on this back in March here. But with a new pic in hand, it seemed worth repeating.) These days few practitioners actually use real books, so many have never actually seen what a 5th Series volume looks like. Well, now you have! Note that the series band is gold, a color chosen to reflect California's moniker.